The Galaxy Tab S2 9.7 is amazingly thin and light for a tablet of its size, making it comfortable to hold for long stretches. 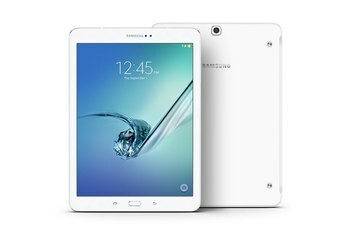 The tablet comes packed with premium features, including a high-resolution display, fingerprint sensor, and 8-core processor. If you have a compatible TV or smartphone, you can easily share content with the various screens. Although the Galaxy Tab's mostly plastic design helps keep the weight down, some users may find that it feels cheap. Battery life isn't quite on par with some of its competitors. 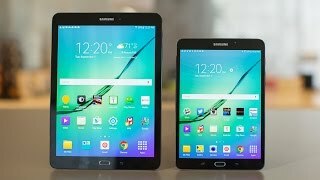 Samsung typically packs its tablets with bloatware you can't remove, and the Galaxy Tab S2 is no exception. With Apple's iPad Air 2 squarely in its crosshairs, the Galaxy Tab S2 9.7 gives Android fans an iOS alternative. Praised for the quality of its screen, the tablet is thin and light with advanced features such as biometric security and dual-screen capability. It can even rival the iPad Pro 9.7 as a laptop replacement when used with Samsung's optional keyboard cover. Although the Tab S2 looks like it’s a dainty little thing, try twisting the screen or bending its corners and you’ll find it’s made of sterner stuff. True, only the tablet’s frame is made of metal, but the plastic on its back has a convincingly metallic finish and doesn’t feel cheap or nasty. I was also pleased to see little drop-off overnight. Traditionally a strength of iPads, the Tab S2 9.7in lasted a full week of light use between charges, with less than 1% lost while I was sleeping each night. Fingerprint recognition is as easy to set up on the Tab S2 as it is on the Galaxy S6. You simply press the sensor repeatedly until it has a good grasp on what your fingerprint looks like. From then on, it’s lightning fast to unlock your tablet with the touch of a finger. Other than the iPad, Samsung’s Tab S2 is one of the only tablets with this extra bit of security. 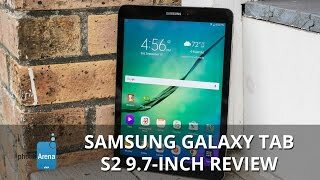 Taking all factors into account, the Galaxy Tab S2 9.7 has the best looking screen of any tablet on the currently on market thanks to its AMOLED technology. 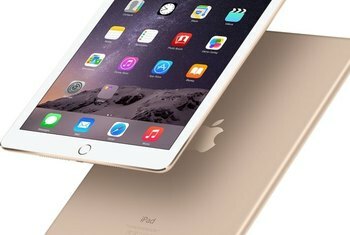 It’s most serious rival is its immediate predecessor, although the iPad Air 2 gives it some competition. It's plenty fast -- I never had any issues with slowdown while playing videos, juggling several apps or playing games -- but it didn't feel significantly faster than the last model. It also comes with 32GB of storage, which you can expand with SD cards as large as 128GB. The 8MP camera is OK with enough light, but can't compare to any camera inside Samsung's phones. It doesn't inherit that 16MP sensor we've grown to love in the S6 and Note 5. The 2.1MP camera photos look even noisier and should be avoided at all costs. With average use, it lasted about a day and a half. This falls short of what many other tablets are capable of these days, and the reason is obvious: it’s just so darn thin. The batteries in each of these tabs are, in fact, smaller than the batteries on last year’s Tab S.
If I were to use the Galaxy Tab S2 every day during a commute or every night while reading before bed, I'd definitely pick the lightweight nature of the plastic construction over the finesse of an aluminum design. It's easier on your hands and wrists, and no sweat to carry around everywhere. 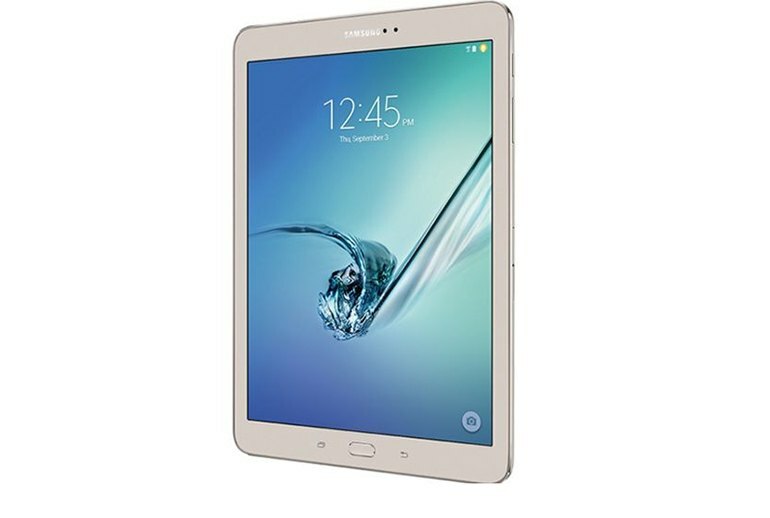 The Samsung Galaxy Tab S2 9.7 is one of the best Android tablets on the market. 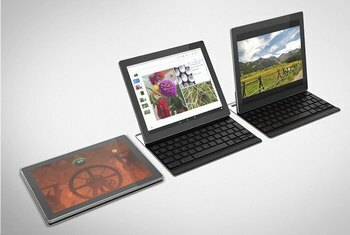 It's incredibly thin and light, has useful multitasking features, and excels at media playback. 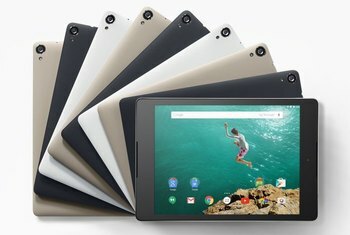 But its high price and average battery life make the 8-inch Tab S2 a better buy, unless you really need that additional 1.7 inches of screen. The multi-window feature lets you display two apps side by side on the screen at any one time. It's a godsend in more situations than you’d first envisage. I regularly used it when taking notes on the tablet, keeping the web page or document I was reading open on the top and a Microsoft Word doc beneath it. The display on the Tab S2 9.7" is phenomenal. It's every bit as sharp as the iPad Air 2, every bit as accurate, and has the best black level and contrast ratio you'll find on any device. 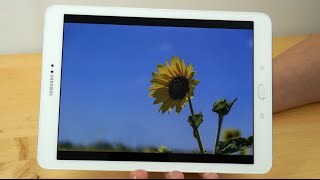 It did seem a bit more difficult to use in unforgiving lighting than the iPad Air 2 due to the differences in brightness and reflectiveness, but in most scenarios it wouldn't be an exaggeration to say that it's the best tablet display that I've ever seen, and that's a huge win for Samsung. I kept waiting to discover some jaw-dropping standout feature, some indisputable reason the Galaxy Tab S2 should be your next tablet, but it’s just not there. As tablets go, it’s a really, really good one.